There are 23 shops in the ShopSafe USA Pets and Pet Supplies Shopping Category. Use their dog adoption search and find the perfect canine companion. Plus get free shipping on all orders over $49. This is the official Web site of world-renowned dog behavior expert, Cesar Millan. You'll find all his DVDs, Books, Dog Supplies, and other products of interest to dog owners needing solutions to common dog behavioral issues, or simply looking to build a more fulfilling relationship with your dog. Gifts & Collectibles for over 140 individual dog breeds. Products include calendars, signs, ornaments, jewelry, watches, flags, embroidered clothing and much more. Pet Food Direct carry over 11,000 products for dogs, puppies, cats, kittens, birds, small animals and fish all delivered to your door. Shop online for premium canned and dry pet foods, pet toys, treats, supplements and accessories, as well as gifts for pet owners. For everything equine - HorseLoverZ stock horse saddles and tack, horse wormers, bridles, western and English bits and lots more. They have a new special daily - worth checking out - and ship all over the world. Healthy Hound Bakery bakes fresh daily healthy, all natural gourmet dog treats. They make all their dog treats from scratch, homemade, with no preservatives, additives, or processed sugars and use human grade meats (no meat by-products), plus all dog treats have been veterinarian approved. An unbelievable selection of Doggie treats that your precious pooch will love - Ruff!! EntirelyPets sells high quality heath products for all kinds of pets. The product range includes Advantage flea control, PROGRAM, Frontline, Cosequin and much more. Also available are a range of pet foods, treats, toys and training supplies. Total Pet Supply is one of the biggest and most affordable pet pharmacy online. They provide over-the-counter and prescription products safely and directly to your door. Get rewarded with pet points! $1 spent = 1 point. ValuePetSupplies.com has everything pet owners need to keep their canines, kitties, and other pets happy and healthy. They also carry name-brand Puppy Pads, their own line of meaty and long-lasting Bully Sticks, and an array of eco-friendly products, along with great furniture, bedding options, and grooming essentials. Pet Source is an online retailer of prescription and non-prescription pet products. They sell pet medications, pet vitamins, pet supplements, pet supplies, pet nutrition -- pet EVERYTHING -- you'd ever want for your dogs, cats, horses and other animals. All else failed? Let us help. If you want to see more Pets and Pet Supplies here, please e-mail pets@shopsafe.cc. Please do not change the subject line of your email. 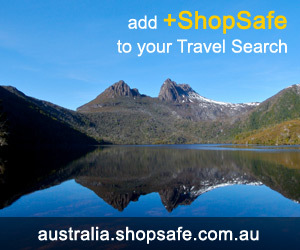 If the subject line does not contain "Add to ShopSafe Online Shopping" it will not be read.